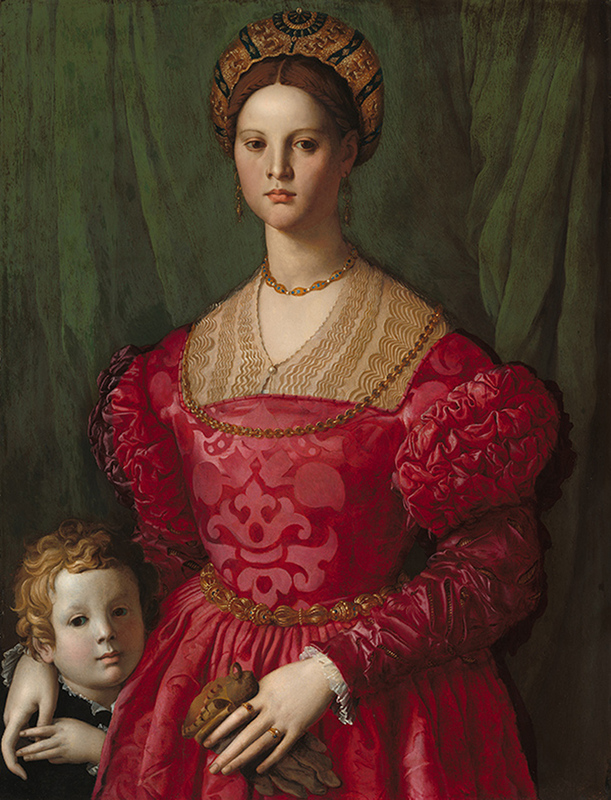 Agnolo Bronzino first trained in the studio of Raffaellino del Garbo, where he began to perfect his unsurpassed technical virtuosity. 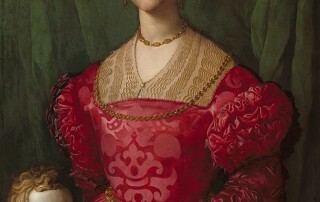 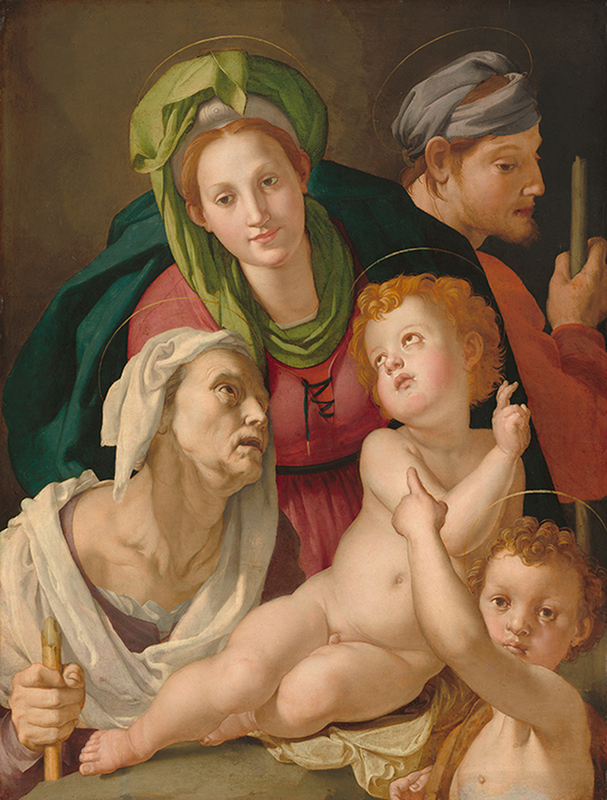 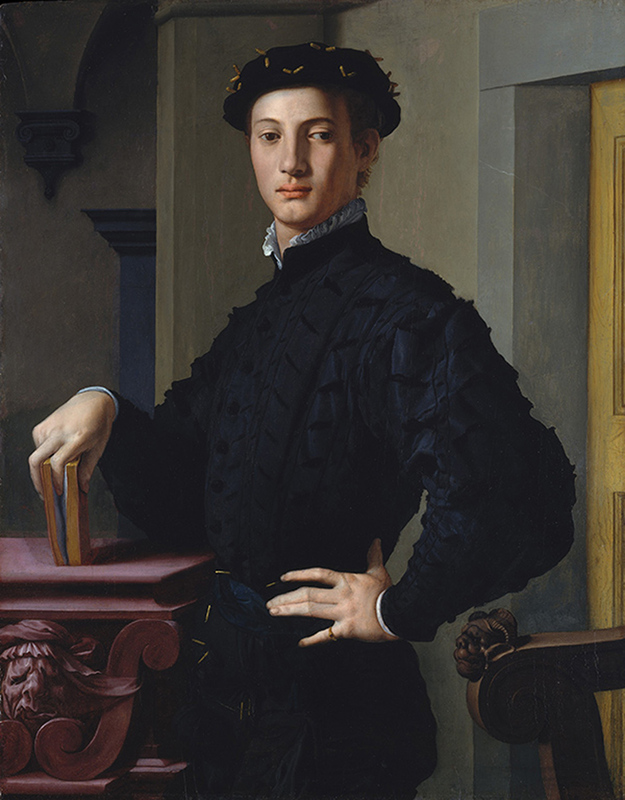 After further study under Jacopo Pontormo, Bronzino began a successful career as court painter to Cosimo I de’ Medici. 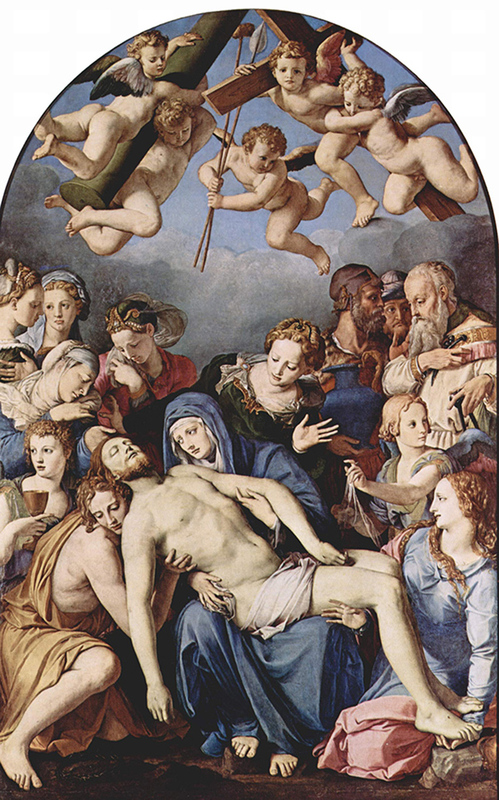 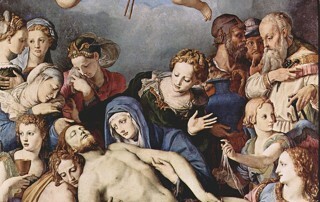 He was renowned as a painter of complex multi-figure frescos and canvases of allegorical and religious subjects, as well as for his portraits of the leading citizens of Florence. 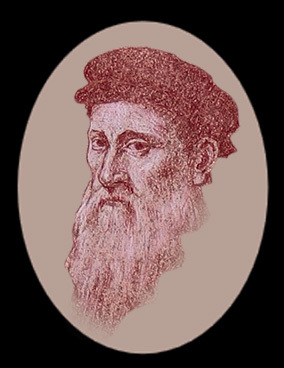 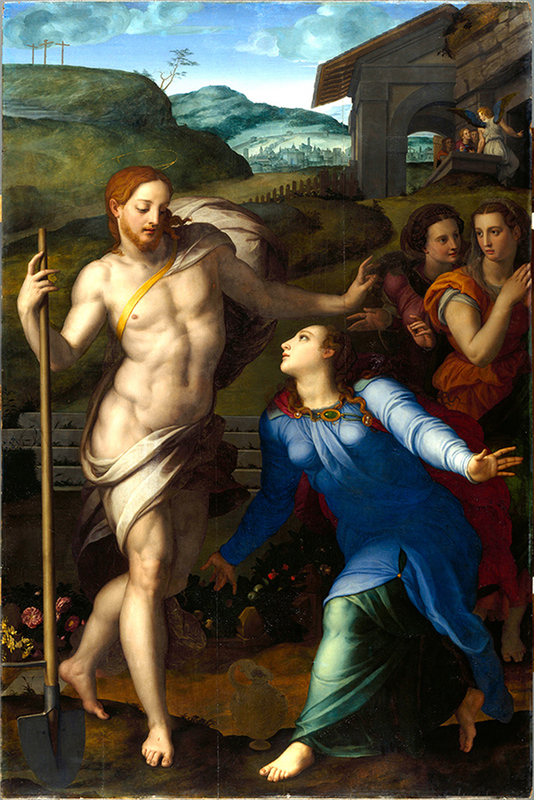 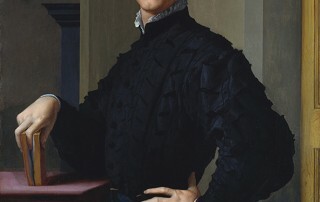 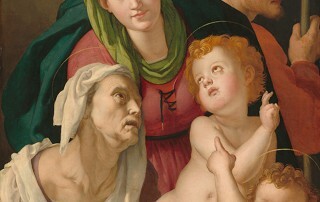 In addition to executing frescos and altarpieces for Florentine chapels and decorations for Medici villas, and supplying designs for tapestries for the ducal palace, Bronzino was also a poet known for his sonnets and songs and a teacher, who took in the young Alessandro Allori as his ward and pupil.